Part number: 028907475BD. Model:A8 D2 Quattro. Open Mon-Sat. All Unwanted Vehicles Bought. South Hams Car Spares. We are breaking 100's of different vehicles, with many parts on the shelf. Removed from a 2001 AUDI TT QUATTRO (225 BHP) 1781cc. FOR YEARS: 1998, 1999, 2000, 2001, 2002, 2003, 2004, 2005, 2006 (2001). Warranties cover Parts Only and only apply if parts are fitted by a recognised independent specialist or approved dealer. Removed from a 2001 AUDI TT QUATTRO (225 BHP) 1781cc. FOR YEARS: 1998, 1999, 2000, 2001, 2002, 2003, 2004, 2005, 2006 (2001). We do not cover labour Costs. We Do Not Cover Any Labour Costs Involved With Fitting Or Removal Of Any Parts. Fits: Audi TT mk1 1998-2006 225. Car: Audi TT 225 Quattro 2002. All we ask is that you give us a chance to resolve it this way first as it draws a much quicker close to the matter which is always good. Fits: Audi TT mk1 1998-2006 225. Car: Audi TT 225 Quattro 2002. all these defects are reflected in the price. All we ask is that you give us a chance to resolve it this way first as it draws a much quicker close to the matter which is always good. UR Quattro / Sport Quattro 1980 - 1991. This is a throttle pedal for the following cars Passat B2 1981 - 1988. This is a new,obsolete genuine Audi part. Fits: Audi TT mk1 1998-2006 225. Car: Audi TT 225 Quattro 2002. We are a car dismantling facility based in west wales not far from the coastal town of Newquay. All we ask is that you give us a chance to resolve it this way first as it draws a much quicker close to the matter which is always good. HERE WE HAVE A THROTTLE PEDAL COMPLETE FROM A 2007 AUDI A4 SE S LINE QUATTRO 2.0 PETROL ENGINE IN GOOD WORKING ORDER AS TRIED AND TESTED BY OURSELVES BEFORE REMOVING FROM THE CAR. Genuine Audi Accelerator Cable Bush. To Fit An Audi UR Quattro Turbo Coupe Wr/Mb & Rr. Audi Coupe quattro1985 1986 1987 1988. Audi 100/Avant1983 1984. Audi 100/Avant1985 1986. Audi 80/90/Avant1982 1983 1984. AUDI TT QUATTRO 1.8 LITRE PETROL 2000 MODEL. BRAKE PEDAL. AJ SPARES is a large independent Vehicle Dismantlers. PART NUMBER - N/A. PAINT CODE - GREEN. GEARBOX CODE - 1J0199177. REMOVED FROM A 2007 AUDI Q7 QUATTRO 3.0 TDi. All parts are stamped/marked by LMT Car Parts for authenticity. HERE I HAVE A 2007 AUDI TT MK2 3.2 V 6 DSG QUATTRO BREAKING FOR PARTS YOU ARE BUYING THE ELECTRIC THROTTLE PEDAL COMPLETE AS PICTURED. 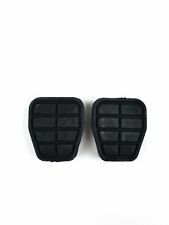 Audi TT MK1 foot pedals, used condition. PART NUMBER 8N2 864 777A. DRIVERS SIDE FRONT FOOTREST. AUDI TT QUATTRO 1.8 20 VALVE TURBO. 180 BHP PETROL 6 SPEED MANUAL 2002. INTERIOR CODE N3Q/JN. B.C (BAY 8). REMOVED FROM A 2014 AUDI S3 QUATTRO 2.0 PETROL 6 SPEED SEMI AUTO. We provide a wider range of quality vehicle salvage, salvage car parts & used vehicle parts. PARTS CITY LTD.
PART NUMBER. Electrical components may need coding and/or programming to the car. It may fit others. The New and Used Audi Parts Specialist for all Audi models worldwide. Audi Part Number: 1K2 721 503 L. Donor Car Colour: Bodywork is Blue. Interior trim is Black. AUDI TT Mk2 8J 2008. RHD ACCELERATOR PEDAL. AUDI TT COUPE 2008. Audi parts available off the shelf. Compatibility of parts An item that has been previously used. For Sale is a Throttle Pedal POTENTIOMETER. Removed from a 2010 AUDI TT RS Quattro 2480cc Petrol 3 Door Coupe. Please see item description for more information, you will receive everything you see in the images. REMOVE FROM AUDI TT QUATTRO 1.8 PETROL,2001 YEAR,225 BHP,6 SPEED MANUAL GEARBOX FHB,ENGINE CODE BAM,PAINT CODE LZ9V BLACK. MY AIM IS TO MAKE SURE YOU ARE ALWAYS 100% HAPPY! IN WORKING CONDITION AS SHOWN IN THE PICTURES ABOVE. REMOVED FROM: 6 SPEED 2003 AUDI QUATTRO TT 1.8 T PETROL. ELECTRIC THROTTLE PEDAL. COLOUR CODE:LZ3M. This listing is for the pictured throttle pedal removed from a 1999 Audi A6 Avant Quattro S6 5 Door Estate Pedal Throttle The part number for this item is 8D2721523B The part is in good used condition and comes with a 90 day guarantee. If you are unsure about fitment to your vehicle please send us a message / enquiry. AUDI 100 (44, 44Q, C3) 1.8 Cat quattro Saloon Petrol 08/1985 11/1990 AWD 8 90 66. AUDI 100 (44, 44Q, C3) 2.2 Cat quattro Saloon Petrol 06/1989 11/1990 AWD 10 137 101. AUDI 100 (44, 44Q, C3) 2.2 E quattro Saloon Petrol 08/1985 07/1986 AWD 10 120 88. PART NUMBER 8N2721057B. AUDI TT QUATTRO 1.8 20 VALVE TURBO. BRAKE PEDAL. 180 BHP PETROL 6 SPEED MANUAL 2002. GEARBOX CODE FHA. 9AM-5PM MON-SAT. INTERIOR CODE N3Q/JN. Brake / Clutch Pedal Rubber to fit. VW Caravelle T4 1991-2003. VW Corrado 1989-1995. VW Golf MK2 1983-1992. VW Jetta 1984-1992. VW Passatt 1981-1996. VW Polo 1990-2000. VW Transporter T4 1991-2003. 2002 AUDI A4 3.0 QUATTRO SPORT 4DR SALOON AUTO. ACCELERATOR THROTTLE PEDAL. AUDI TT QUATTRO 1.8 LITRE PETROL 2000 MODEL. BRAKE PEDAL SWITCH. 6 SPEED MANUAL 2 DOOR. PAINT CODE - GREEN. GEARBOX CODE - 1J0199177. ENGINE CODE - APX. NS is Nearside, Left, or the passenger side in the UK. AUDI TT Mk2 8J 2008. AUDI TT COUPE 2008. FRONT RIGHT DRIVER FOOT REST PLATE. Audi parts available off the shelf. We won’t take any responsibility for the compatibility of parts unless we have explicitly said it will fit. AUDI TT QUATTRO 1.8 LITRE PETROL 2004 MODEL. BRAKE PEDAL. PAINT CODE - C8 BRILLIANT RED. GEARBOX CODE - FZP. ENGINE CODE - ARY. TT MK1 8N3 1.8T QUATTRO. All our used parts are in good condition and are tested prior to dispatch. COLOUR: MORO BLUE PEARL. PART NUMBER ITEM CONDITION. Cash on collection. REMOVED FROM AUDI A8 D3 4.0 TDI,2003 YEARS,275 BHP,6 SPEED AUTOMATIC GEARBOX GVK,ENGINE CODE ASE,PAINT CODE LZ1Z BEIGE. MY AIM IS TO MAKE SURE YOU ARE ALWAYS 100% HAPPY! Quattro (84-91). 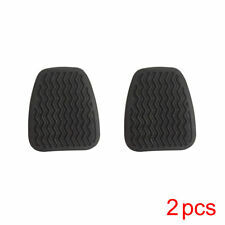 1 x Brake / Clutch Pedal Rubber. Coupe (80-88). Pad / Cover. This will fit the following vehicles:-. Golf II (83-91). Derby (81-84). Corrado (88-95). 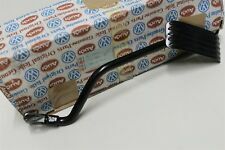 GENUINE AUDI TT MK2 8J BRAKE PEDAL. AUDI TT MK 8J. 1 x Brake pedal. FRONT WHEEL DRIVE. COUPE, 2007, RIGHT HAND DRIVE. THIS IS THE EXACT ITEM YOU SHALL RECEIVE. Car: Audi TT 225 Quattro 2002. Fits: Audi TT mk1 1998-2006 180. FITS 2001-2006 AUDI TT. ALSO THIS WILL NOT FIT EARLY TT FROM 1998-2000. We are a car dismantling facility based in west wales not far from the coastal town of Newquay. (Taken from: 2008 AUDI A3 1.9 TDI BXE, BLACK LZ9Y, 5 SPEED GEARBOX JCR, SPORTBACK). Used Condition ! Have minor mark, slights scratch.